Want to learn WordPress or hone your skills in blogging? You'll find tons of advice and inspiration in these quality online resources. The web is a wonderful thing, brimming with resources and tutorials for people wanting to learn about the world of WordPress. But, sometimes, too much choice can be confusing, so we've picked 10 top sites that will really help you get to grips with the open source CMS. You'll be a blogging genius in no time! If your preferred method of learning new stuff is to watch a video, hit up WordPress.tv. It's packed with video tutorials from experienced WordPress users, covering practically every subject you might wish to get to grips with. And if it inspires you to share your own pearls of WordPress wisdom, you're welcome to submit your own videos for inclusion. Founded in 2010 and now reaching hundreds of thousands of WordPress users every year, WPLift is a comprehensive resource featuring loads of helpful tutorials and useful tips, as well as guides to getting the most out of themes and plugins, and much more besides – including some fantastic free themes. What better place to learn about WordPress than from its own site and the developers behind it. At WordPress.org you can not only download the software but learn the history behind the open source CMS, get access to popular themes and plugins and engage in active forums with other WordPress users. Web hosting is a complicated topic that can be difficult to break down and digest. 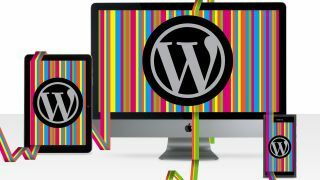 Fortunately Sam Anthony, the co-founder and director of development at TheSiteEdge, has created this fresh, comprehensive guide to WordPress hosting. With links to a treasure trove of resources, this is a must-read. wpbeginner is a brilliant resource for anyone who's interested in WordPress but isn't quite sure where to start. Founded in July 2009 by Syed Balkhi, the main goal of this site is to provide quality tips, tricks, hacks and other WordPress resources that enable WordPress beginners to improve their sites. WPKube is a WordPress resource site which focuses on a wide scope of WordPress-related areas and publishes compilations of themes, plugin, tools, tutorials on WordPress optimisation, and more. Bored of the standard default WordPress themes and want to give your pages a sophisticated, personal look? Look no further than TemplateMonster, an extensive archive of elegant pre-made WordPress themes. Perfect for digital consultants, small business owners and digital business owners, Matt Report's podcast interviews WordPress professionals for marketing advice. You'll also find a list of useful further reading. Speckyboy Design Magazine is a web and graphic design blog run by Paul Andrew. Launched in October 2007, the site has grown into a brilliant resource for designers. With over 500 articles on WordPress training, tricks and advice, you're sure to find something useful here.